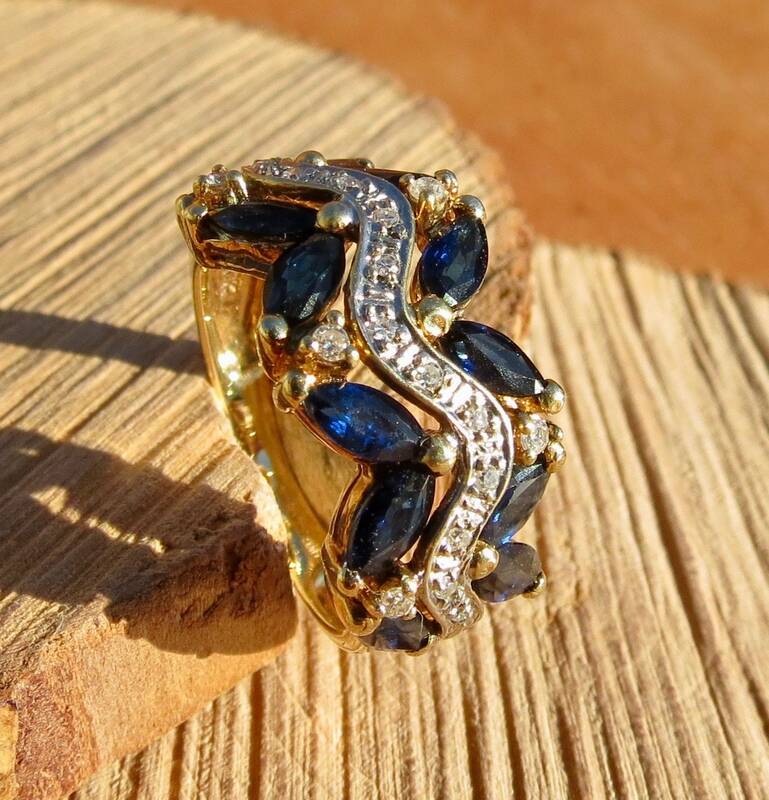 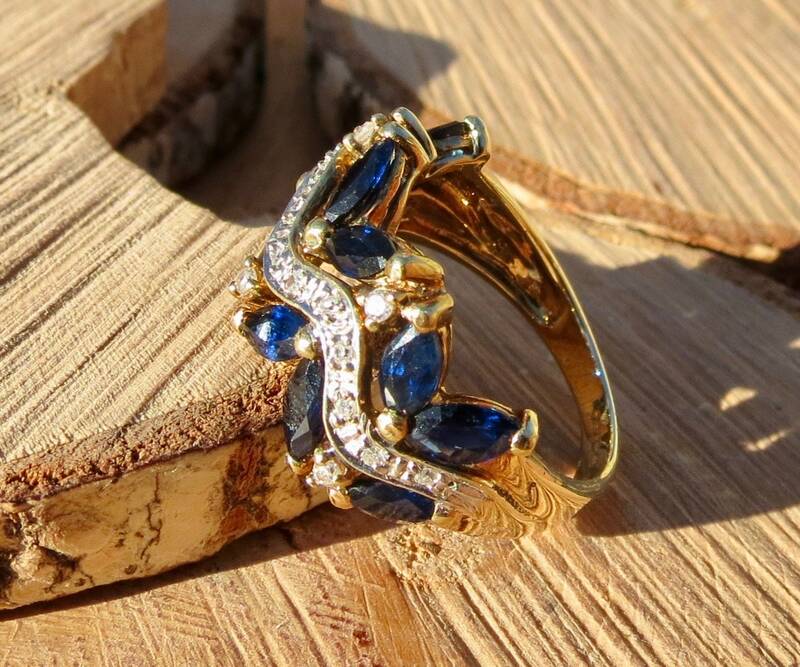 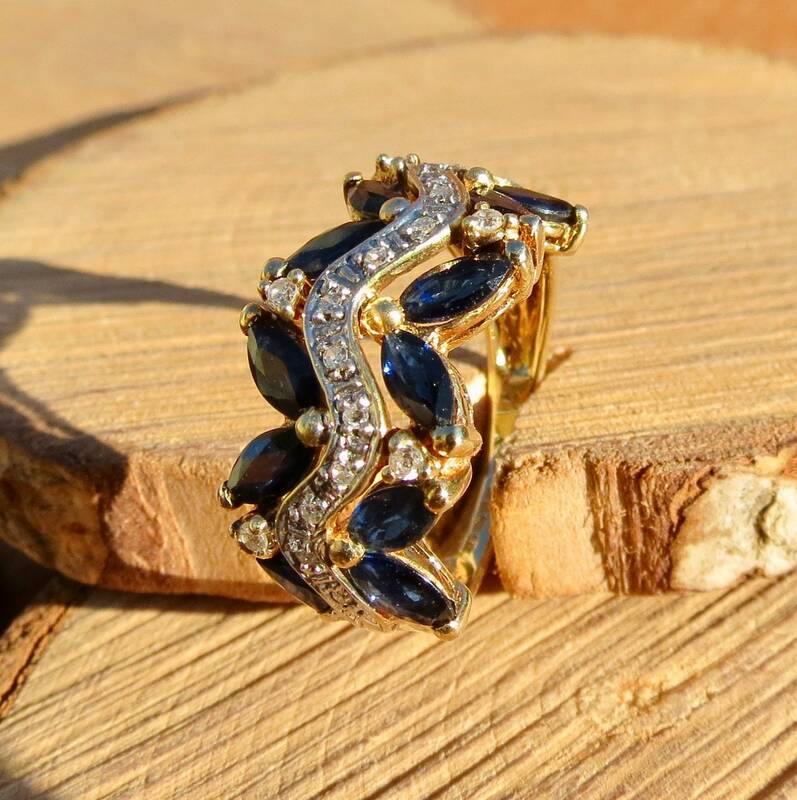 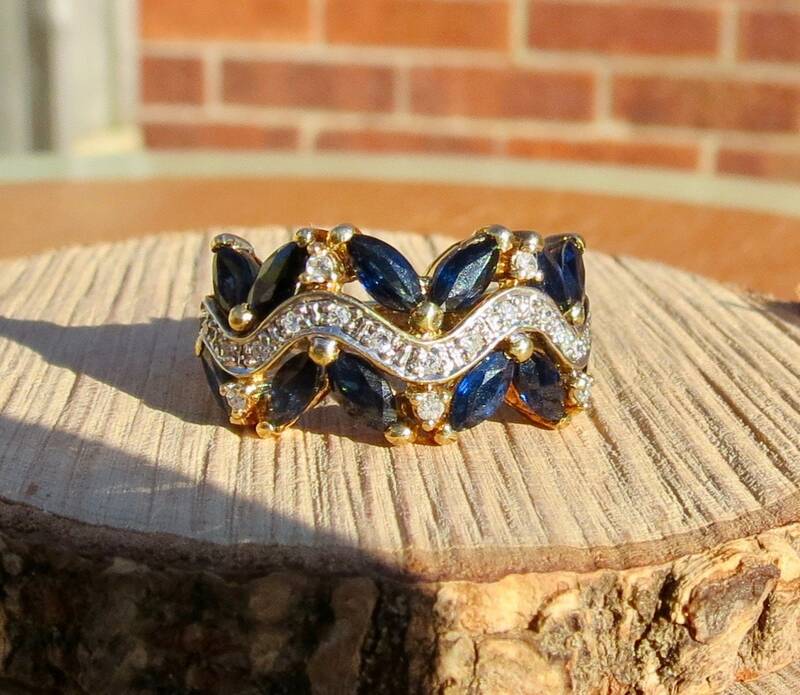 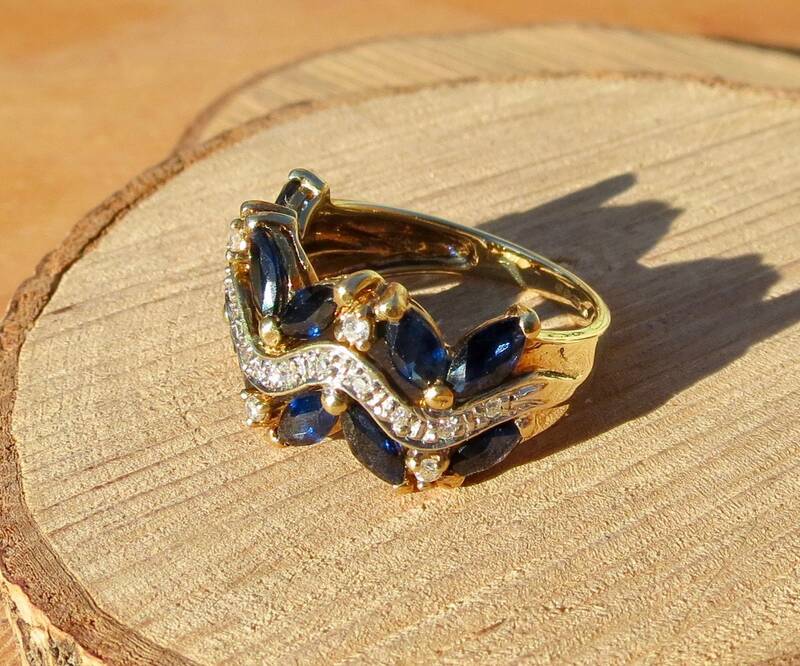 This 9k yellow gold ring has 12 marquise cut sapphires in a chevron design, a ribbon of diamond accents weaves through the centre of the setting, further diamond accents are set between the sapphires. 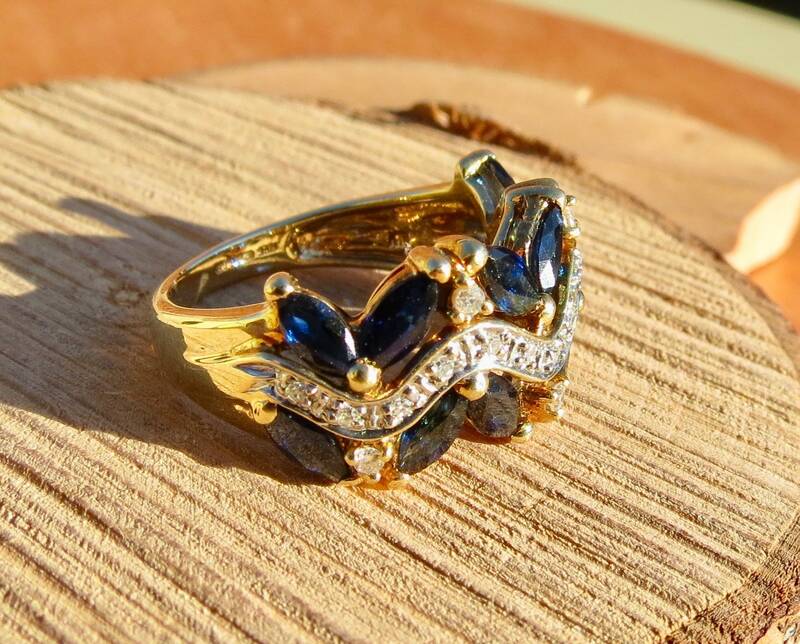 The mount is on wide shoulders that lead to a plain with shank. 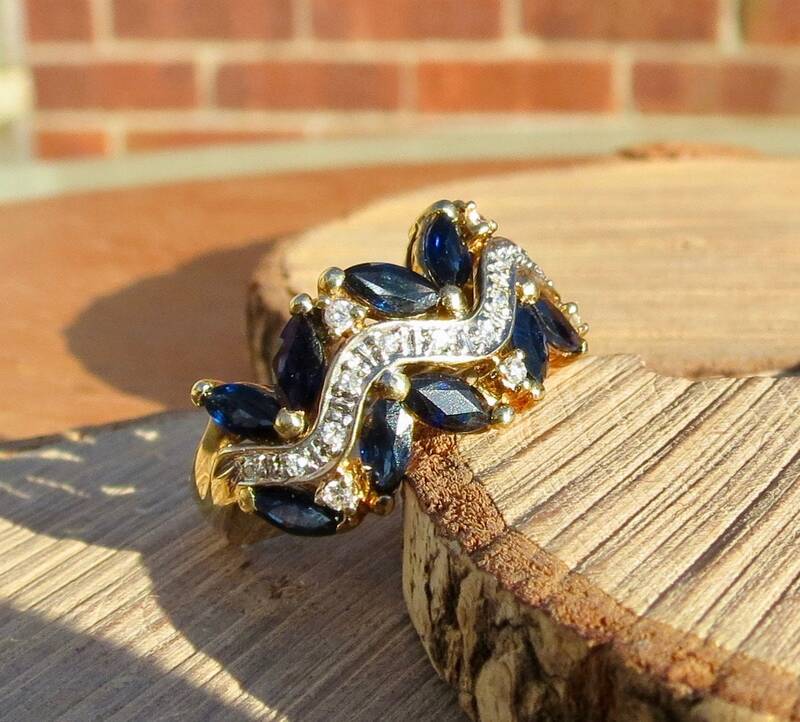 The marquise cut sapphires are well matched, and rich in colour, total weight 1.5 carats. 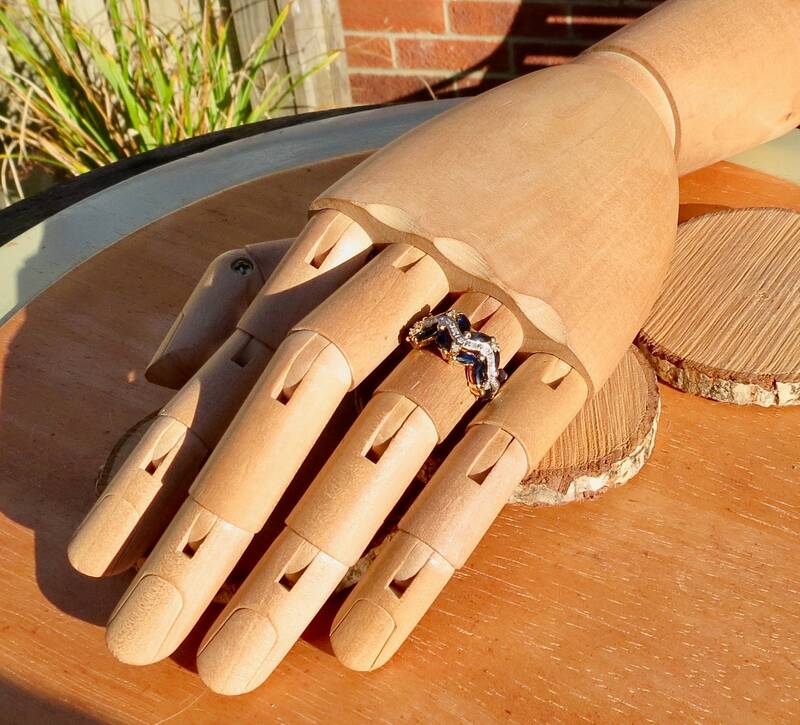 Total weight of brilliant cur diamonds 0.4 carat. 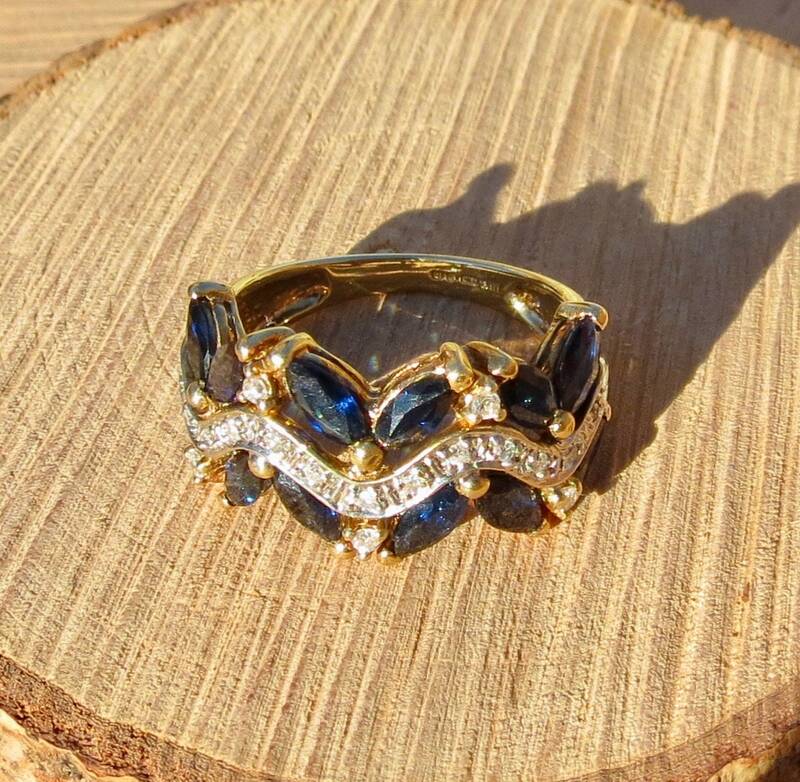 Full British hallmarks, London England, 9K yellow gold. 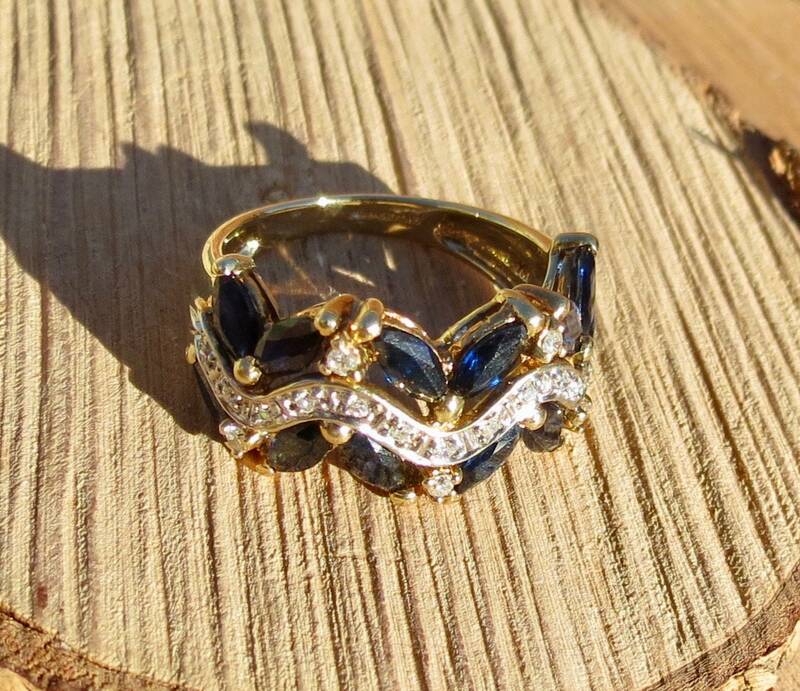 The setting is 1 inch (23mm) long and 1/2 inch (12mm) wide.